The former version of the Golden Bill created a vacation licensure structure (an owner to rent a unit for less than thirty days had to obtain a ‘vacation rental license’). This vacation rental license had to be renewed every two years for a fee of $200. For further information about the prior version of the bill, see our article dedicated to bill S4263-A. * The term “vacation rental unit” is replaced by the term “short-term rental unit”. 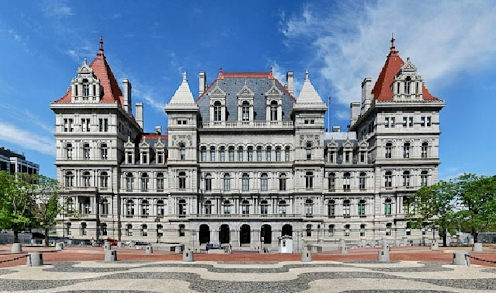 * The new version of the Golden Bill merely requires a “short-term rental unit” (a unit rented for less than thirty days) to be registered with the New York City Department of Buildings (“DOB”) for a fee of $200. The new version of the bill does not require this registration to be renewed. Building with 21+ units: no more than 10% may be used as short-term rentals. Fines (for not registering with the DOB or for making fraudulent or misleading statements on the registration application) range from $1000 to $2000. The fines in the former version of the bill ranged from $500 to $1000. What do you think of the new version of the Golden Bill? It is more likely to pass in the Senate? Are the requirements laid out in the amended version of the bill more likely to be followed by individuals renting their units for less than thirty days (registering one’s unit as a short-term rental as opposed to obtaining a ‘vacation rental license’)? Has this passed? If so how does one go about getting registered? The Golden Bill was not passed by the Senate. We will keep you informed as new information becomes available. The bil’s status now shows on the Senate site as being’ committed to Rules’ after the third reading. What does Committed to Rules mean? Will there be another reading before the vote? I’m not in the US so the subtleties of Senate internal work escape me! Dana, the Bill was committed to the Rules Committee on June 21, 2012. It passed the Rules Committee on the same day. Prior to being committed to the Rules Committee, it was amended and Senator Grisanti was added as a co-sponsor of the Bill. Sorry. Just saw that dates aren’t listed here – today being June 21, 2012. Did the new version of Golden’s bill go into effect today? The bill has not been voted on yet. We will keep you updated on the status of bill. I live in hull ma and i was fined 1700 by the town of hull for renting short term my condos which are ocean view nice units , does anyone know about ma state laws? This is absolutely a great bill. Owners of Free Market properties should have the right to rent units on a short term basis, provided that they pay taxes and the building is safe. With real estate taxes as high as they are, some owners may only be able to get by through this type of rental.